Your business needs a reliable, eye-catching website. We provide just that. Sure, you can choose to build a website from a template engine. But don’t expect to go too far. Now, and into the future, your business’ website will need comprehensive social media marketing, Google Analytics and pages which load quickly. Xanjero Media is the bridge between your ideas and your business’ success. We are an innovative and creative website development firm that combines definitive understanding of marketing strategies with expertise in both communication and delivery. We utilize cutting-edge technology with an old-fashioned focus on results. This includes, but is not limited to: the latest in coding to improve both user and customer functionality, fully integrated solutions for ecommerce and customizability. Our sites are XHTML/CSS compliant, we provide SEO-friendly URLS and easy indexing for Robots.txt and Sitemap. What’s more, is beauty is never compromised in the design process. Technically, e-commerce is the use of computer-to-computer technology to transfer information, products or retain services between businesses and consumers. In plain English, e-commerce is the reason a business publishes a website. It allow customers the convenience of shopping on their terms. With a site built by Xanjero Media, your customers can use their Visa, MasterCard, Discover and American Express cards through OpenCart, Magento and WordPress Shopp Plugin. This allows your customers flexibility while simultaneously providing you with detailed purchase reports. It also limits exposure of chargebacks and fraudulent purchases. Give your patrons access to online purchases and/or reservations and watch your business grow. 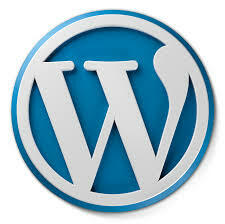 WordPress is the most search-engine friendly CMS platform or Content Management Platform. Simply put, WordPress is easy to use and is updated on a regular basis. That’s real-time control over content, both old and new. With WordPress, you can update information regularly and its layperson friendly editor makes management a snap. Want to add a discussion forum or poll? How about shopping applications or search modules? WordPress delivers on all fronts, and, we can customize to your specified look, making it a win-win situation for your business’ exposure. We can build an Internet presence that draws in consumers, makes them pick up the phone and get more contacts on your email list. Search Engine Optimization is paramount to the success of a website. Our services will produce what techies term as “organic” results. Meaning, your site will go to the top of the search results without having to pay for a “featured” or “sponsored” link placement. With unique content and proper SEO, your website will produce real results. Web development differs from website design. It is the process of designing and implementing applications for enhanced functionality within a websites or series of websites. It more fully enables customization for specific components for particular needs outside the parameters of ordinary design. In other words, web development breaks the mold and is another reason we shun formulaic templates. If you need an ecommerce site or auction site, you need a web developer, not just a designer and certainly not a graphic designer. You need an active partner and someone who’ll actually listen to you–because you know your customers best. We are proud to offer true web development. Using your experienced input, we’ll forge a vision together to produce a site that both meets your and your customer’s expectations. With web development, there is are no limits and there is little which cannot be accomplished. Take control of your online presence for you and your customer’s sake. Do not be derailed by what other designers say is and isn’t possible.